is there anything more comforting than a rectangle of flapjack? perhaps it's because my grandmother always used to make it. 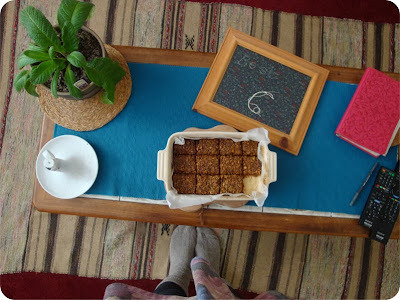 her kitchen would smell of hot golden syrup, and there was always a tin full of crunchy flapjacks on the side. we would sit and enjoy it by the coal fire after cold walks in the Dorset countryside. 1. preheat the oven to 180c. grease and line a small baking tray. 2. melt together the honey, molasses and butter on a low heat. 3. add in the salt, oats and stewed rhubarb, mixing well. 4. place the mixture into the prepared pan, smoothing over with a spatula or the back of a spoon to ensure even baking. 5. bake for about 30 minutes, until crisp at the edges. 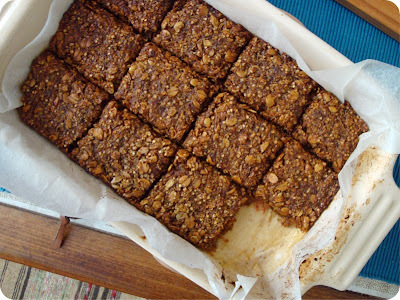 6. leave to cool in the tray for 30 minutes, then use a knife to cut the flapjack into rectangles, and leave in the tray to cool completely. remove from the tin and store in an airtight container in the fridge, or wrap individually in parchment ready for travel. i stewed a big bag of frozen chopped rhubarb with the seeds from half a vanilla pod for my sauce. you could also substitute other fruit pulps to change the flavour. i used my own porridge mix instead of just oats, which includes dessicated coconut, oatbran, quinoa flakes, buckwheat flakes, oat flakes and spelt flakes. if you're dairy free, substitute in the same amount of coconut oil, about 2Tbsp. you could add in other flavours to spice it up a little, but i love the taste of the rhubarb in this. thanks for reading! i hope you enjoy making these. 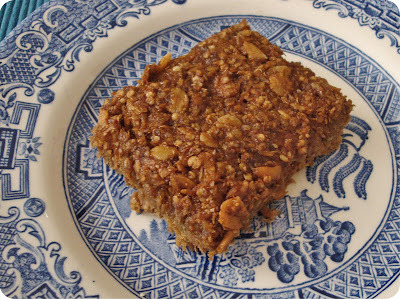 Gosh I wish I could eat oats when I see such a delicious flapjack recipe like this. 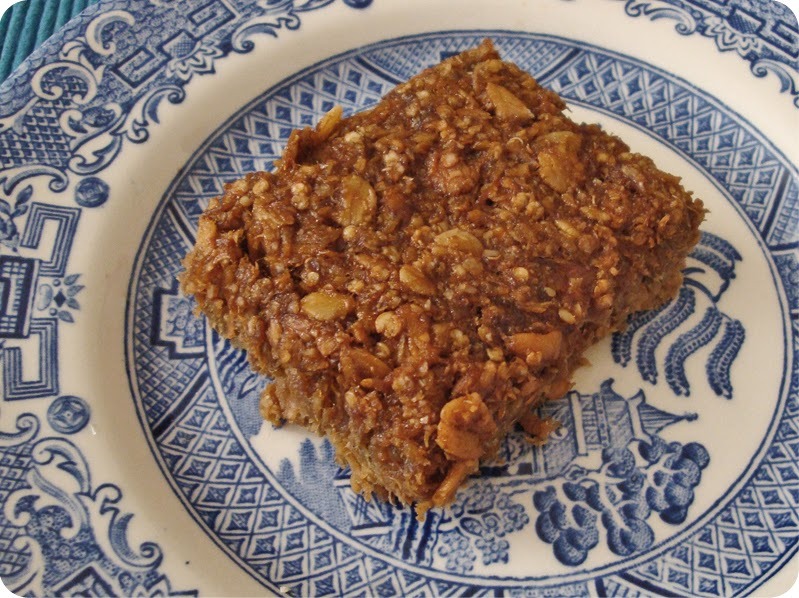 I know you can use other grains like millet of quinoa but nothing beats oats in a flapjack! I've literally just put this in the oven, and it already looks delicious! Thanks also for the tip if using mixed grains - i never would have thought of that!